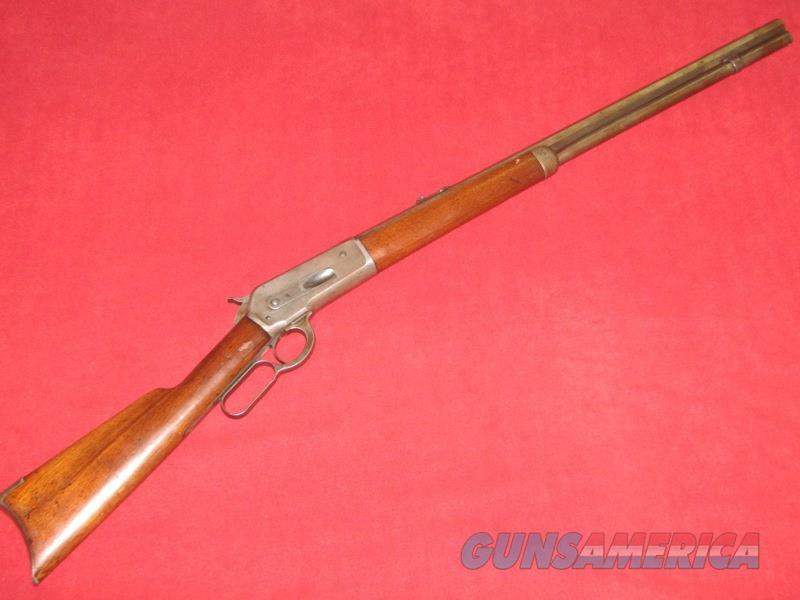 Description: Up for sale is a used Winchester 1886 Rifle (.40-65 W.C.F.). This item has a 26” barrel and wood stocks. Inspection with a bore scope shows light to moderate pitting in the bore, the lands and grooves are still pronounced and still has a certain amount of shine to the naked eye. The exterior shows light scratches and light pitting on the metal surfaces, next to nothing remains of the original blueing. The stocks show dings and scratches in the wood, no cracks or chips can be seen. The front sight for this rifle is missing. D.O.M. is 1896.